Neither the state nor the market have been successful in solving common pool resource problems. 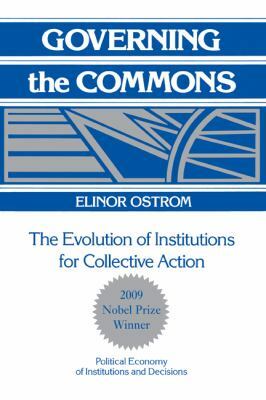 This study accordingly analyses communal interests in land, irrigation communities, and fisheries, and proposes alternative solutions.Ostrom, Elinor is the author of 'Governing the Commons The Evolution of Institutions for Collective Action', published 1990 under ISBN 9780521405997 and ISBN 0521405998. Loading marketplace prices 5 copies from $10.85 How does the rental process work?